I feel blessed that I have a prosperous life and successful career with me. I am living happily with my family and I am really contented with my belongings. Nevertheless, like most of the people, I miss my childhood so much. I know that childhood never comes back. However, with my son's childhood, I am trying to collect some of my childhood gems again. I am 32 yet I run, jump, shout, climb and make a mess with my son. With taking part in his silly plays, I feel close to my childhood. Howbeit, there are many things, which were there in my childhood, are missing in today's life of kids. Open spaces, parks full of greenery, colorful butterflies and dragonflies, I can't bring all this for my son, despite living lavishly in a metro city. There is one more thing I feel missing in today's life and that I really wish to give to my son. It is the beautiful air of my childhood. I remember my childhood when on every Sunday I used to wake up early to enjoy the fresh air of the backyard garden of my house. Mornings in my small town used to be harmonious, pure, and full with a subtle scent and sound of bells coming from a temple located at a distance. It used to be so much fun for kids to wake up early morning for playing cricket and collecting flowers (I used to do this). That morning air was really magical and healing. It used to give me the energy needed for the cleansing of my studies related stress. It used to sprinkle on me the peace of mind; I needed to nurture my creativity. Now I badly miss that freshly scented air around me. No matter how badly I long this, I can't bring that air for my son. Ever since I shifted to Delhi, I am feeling a scarcity of that pure air which used to make me calm and composed. Mornings are even more busy, crowded and full of pollution these days. Everywhere there are cars, buses, and two-wheelers spitting up contaminated air. And hence most areas in the city recorded a whopping 900+ on the pollution meter, 10 times more than the normal range. This pollution is not only outside of our houses because of vehicles. There are a lot of different sources which are adding impurities to the air; like rapid construction and burning trashes in resident areas. The widespread destruction of trees has made the city unliveable now. And another troubling fact is deterioration of air quality inside our houses. Indoor air quality can actually be worse than the air outside as it is not imported from any green city. It is obviously coming from outside and inside pollutants like dust, pollen, mould, tobacco smoke, and pet dander even make the situation worse inside our houses. Ironically, our new age houses of societies are not that ventilated and open enough to let everything go out quickly. To be honest, I am planning to shift to a tier two city near my hometown. I have a work opportunity there and despite this would affect to my work ambitions, still, I want to give my son's childhood this gift. A gift of cleaner air and openness. 1. Go for indoor plants. 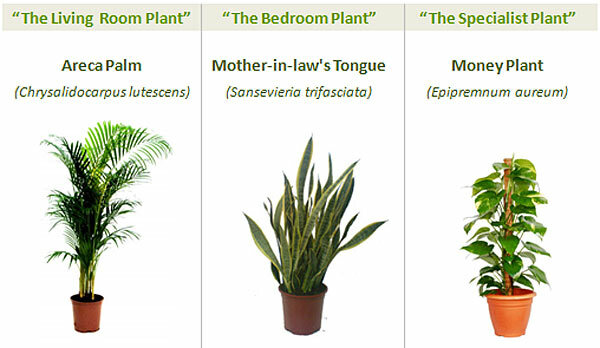 Indoor plants like money plant, snake plant, and areca palm plant are excellent in purifying indoor air. 2. Invest in a good quality air purifier. Most of the families have already accepted the use of water purifier at homes and seeing the negative impacts of indoor pollution, I am noticing an increase in acceptance of air purifiers as well. 3. In addition, in my list, I now have something, that you would find as a blessing. Yes, we now have a paint available that reduces harmful air pollutants and makes the air cleaner. "Royale Atmos from apna very own Asian Paints". · Royale Atoms is based upon Activated Carbon technology that reduces harmful pollutants from the air. Activated carbon is a charcoal that is treated with oxygen in order to open up millions of tiny pores between the carbon atoms, resulting in a highly adsorbent material. This way this paint can absorb odorous, gaseous, and liquid contaminates of the house. · Royale Atoms can fix the indoor pollutant called formaldehyde, which is one of the major indoor air pollutants these days. Materials like plywood, MDF and adhesives, all of which are used in making furniture, emit formaldehyde. And because we can't avoid furniture, we should definitely think about reducing it's side effects. 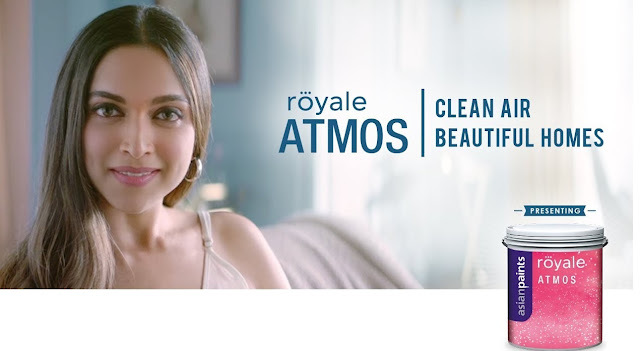 · Additionally, Royale Atmos also can absorb household foul smells to make the air fresher. This is the only paint that comes with a fragrance. We no longer have to worry about the chemical smell of paints. 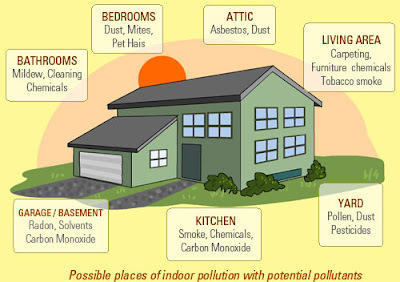 It is a burning talk how indoor pollution is affecting us day by day. Breathing in polluted air can lead to many health issues, from headaches severe respiratory disorders. We need fresh and good quality air for survival and now is the time to be vigilant and understand that the future would be worse if we don’t awake now. Do whatever it takes to breath fresh!